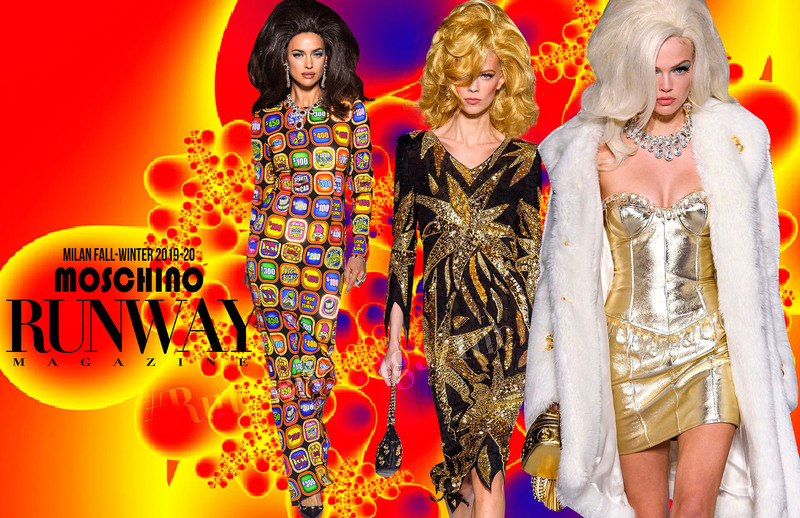 The runway was a bold snapshot of this iconic time, with a star-studded model casting including Bella Hadid, Irina Shayk, Jourdan Dunn and Jasmine Sanders. After they walked, the models became part of the vibrant scenery, a television screen come to life and made of several scenes. 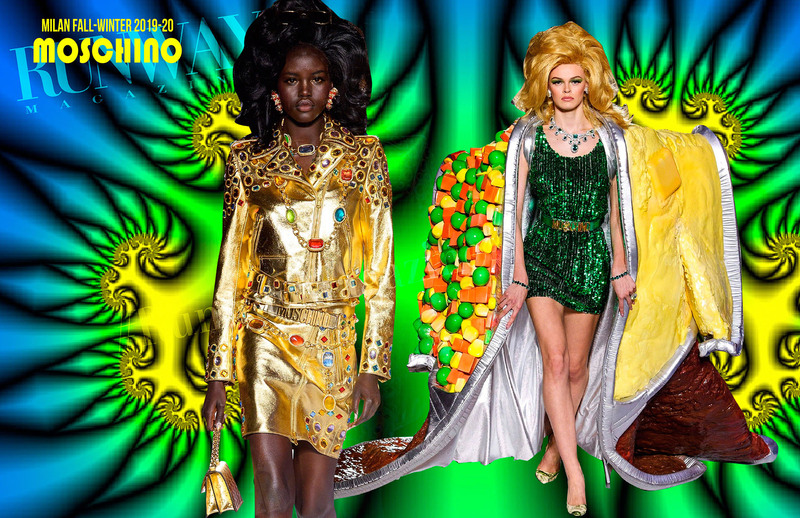 The kitsch collection, dripping with glamor and signature to the brand, was another of Jeremy Scott’s inspired and inspiring subversions of the everyday. 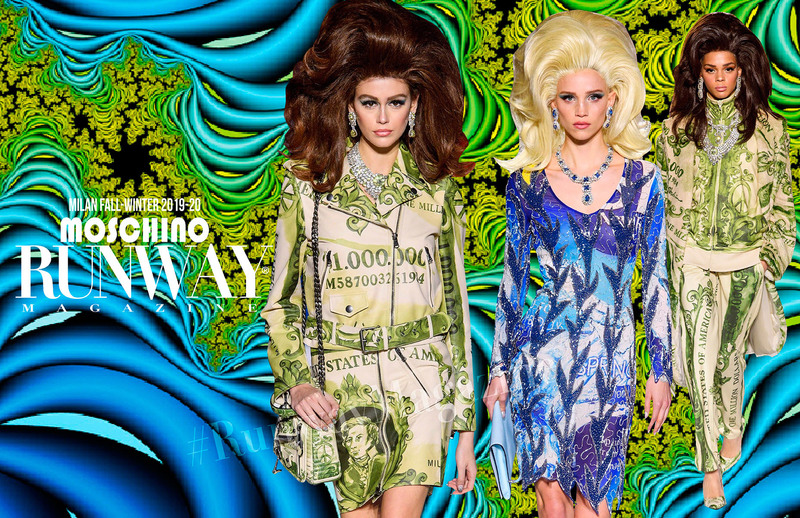 The clothes, sweatshirts, jewel-dresses and prints inspired by the packaging of domestic products. From cleaning detergents to cereal packs, with hand-applied panels and decorations of sequins and crystals. It is a collection of great dreams, spectacular fantasies, dazzling lights and special prizes. There are dresses in brightly coloured silk jersey, cut and draped in a fabulous way, enriched with jewel necklaces and precious cut-out effects, suitable both for morning TV quizzes and evening extravaganza. The new collection reveals a series of wonderful pieces, in fabrics ranging from gold to silk organza embroidered to starburst sequins for the more daring. Slot machine prints, denim and leather with the symbols of the golden dollars and clothes with a coin print all played big. Undoubtedly winning pieces, the biker jackets and skirts in gold and platinum are edged with crystals of artfully cut chandeliers. You could go away with a long (fake) fur to the floor, complete with a (fake) fox. How will it end? Will you win big? 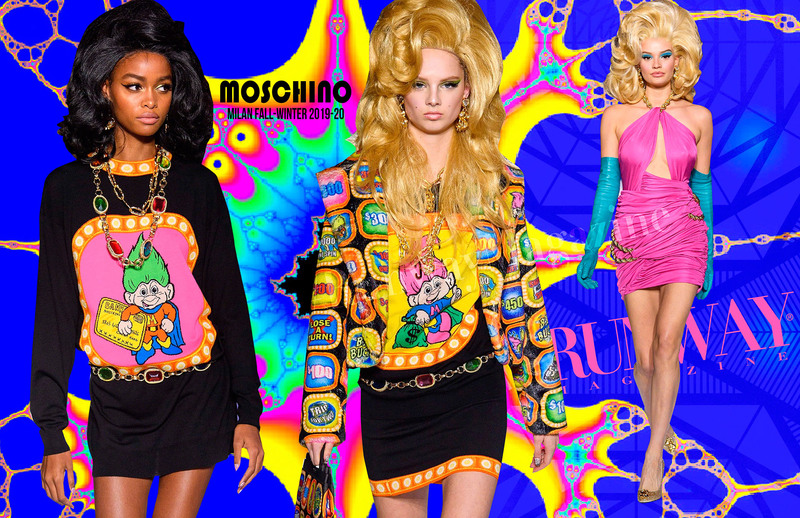 Wear Moschino and the game is already your reality!